Snow geese migration along the northwest shore of Lake Champlain is at its peak with large flocks of 25,000 to 50,000 geese in the area. 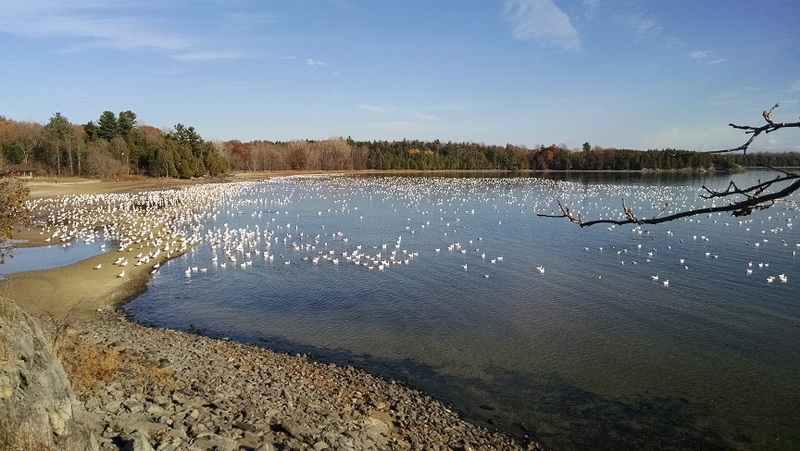 Snow geese can be viewed in the lake or feeding in nearby by traveling Lakeshore Drive between Coopersville and Point Au Roche. 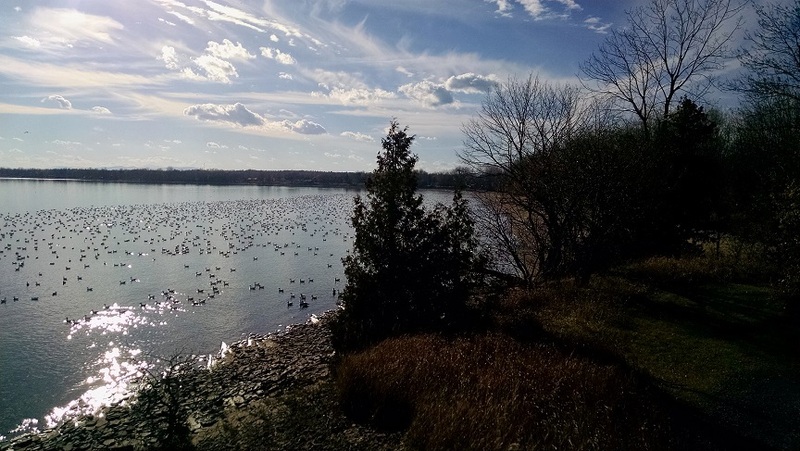 Treadwell Bay will fill with snow geese each evening around sunset. Spectacular viewing and photographing opportunities can be found at the Point Au Roche State Park beach and from the hiking trails along the shoreline. Amazing sight. I have seen them in Coxsackie next to the prison.